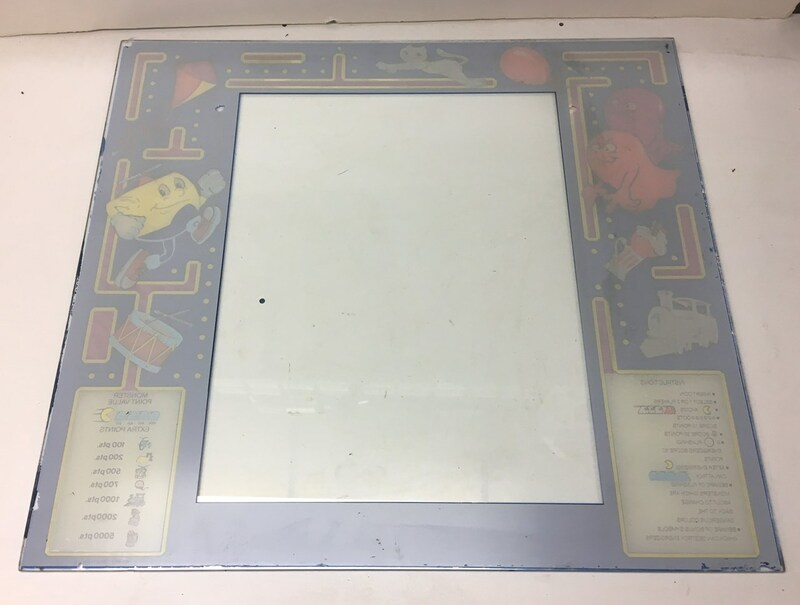 Original Bally Midway Jr. Pac-Man upright arcade game monitor glass in good, used condition. This one still shows pretty well, there are a couple of paint wear spots on the back and some typical lighter surface scratches, but it could certainly be used on a game. Measures 23" wide x 21 1/8" high. Another in the series of Bally Midway's Pac-Man games, Jr. Pac-Man features a unique twist to the the Pac games: large scrolling mazes. 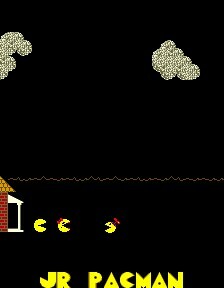 Each level consists of a maze about three times the size of those seen in Pac-Man and Ms. Pac-Man. 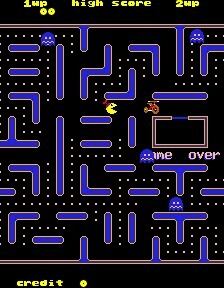 In addition to different and larger mazes, Jr. Pac must gobble up the bonus items that appear on each maze quickly as when the bonus items pass over existing pellets, they make each pellet larger. Gobbling the larger pellets slows Jr. Pac-Man down. 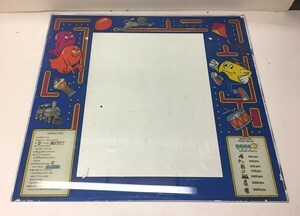 Jr. Pac-man was originally a "factory conversion" of a Mappy cabinet. The game had the large Marquee that folded up and down for display. Production of the game in its this cabinet was halted early on (cost) and only conversion kits were produced. 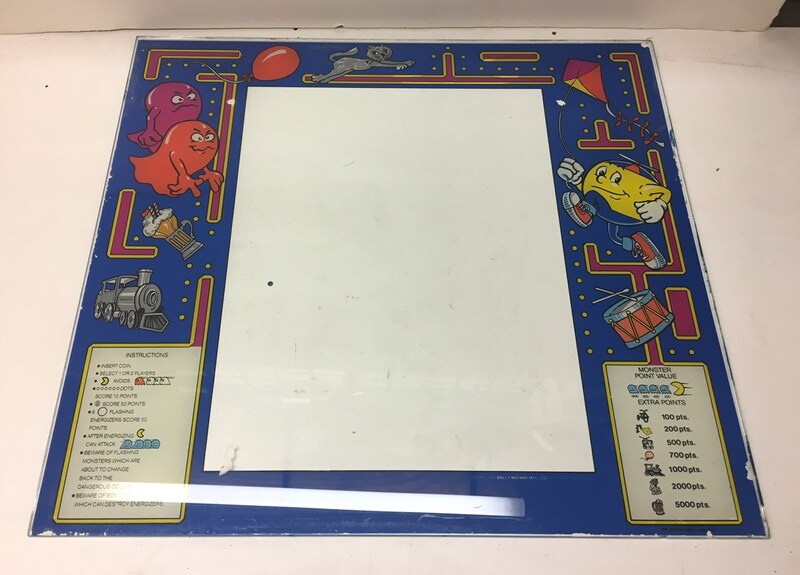 Very few original cabinets were produced and usually Jr. Pac-man games are found to be in converted Pac-man, Ms. Pac-man, and Super Pacman cabinets.